Getty Images/HandoutFormer President George H.W. Bush rocking the windswept look. Former President George H.W. Bush turns 92 on June 12. And while you may not agree with his politics, you have to admit that the man knows how to celebrate a birthday in style. 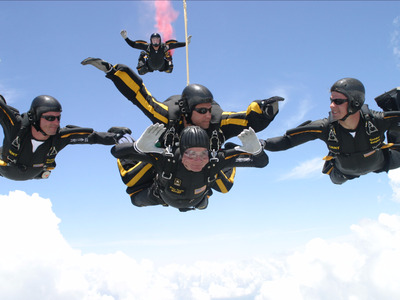 Bush has made a habit of marking major ageing milestones by doing what any great-grandfather would: skydiving. 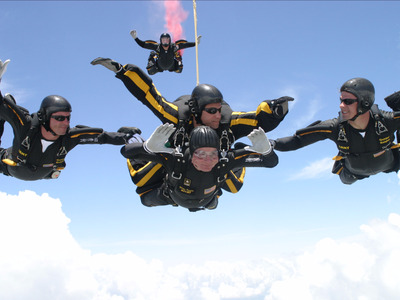 He’s leapt out of flying planes to commemorate his 75th, 80th, 85th, and 90th birthdays, though there’s no word yet on whether he plans make another jump for age 95. These 10 photos oh him skydiving prove that age is nothing but number. 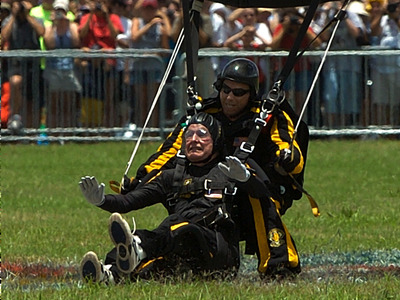 Bush returned to College Station for another jump at age 80. 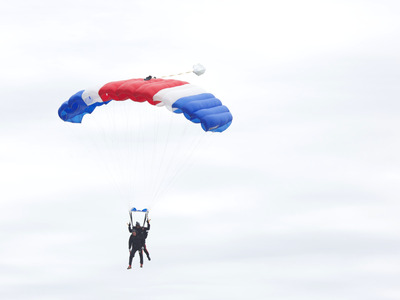 He'd planned to dive alone, but windy, cloudy conditions necessitated a tandem jump. Bush paired up with a member of the Golden Knights, the US Army's official team for parachute demonstrations and competitions. 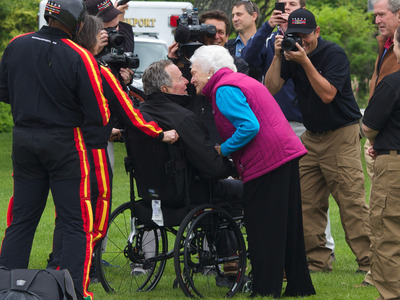 'It's a wonderful day in Maine -- in fact, nice enough for a parachute jump,' Bush tweeted on his 90th birthday (he tweets!). 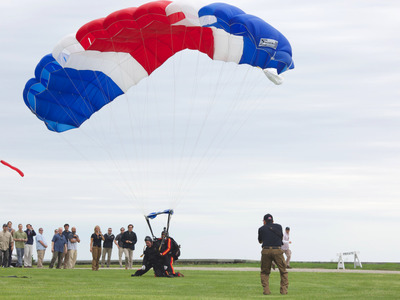 That day, he made a successful tandem skydive in Kennebunkport despite being wheelchair-bound. He saved a kiss for his wife, Barbara, upon his safe return.